Put your faith in our property security services. Choose our company, based in Arbroath, Angus, for practical static patrols that offer a bespoke solution for all your needs. 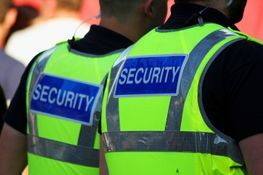 Here at Savat Security Services, we believe static property patrols are the most effective type of security on offer. Static patrols benefit the majority of properties and are used by a large number of our client base. Our static patrol service is a comprehensive service that ensures your business is safe and secure at all times. As part of this particular service, a duty officer would report to the staff who were finishing for the day. They would then finish their duty when staff returned to work the following day. This ensures the building isn't left unattended at any time. The duty officer's shift would include full property checks to ensure the building is secured and any other checks appropriate to the particular business, such as vehicle checks. Patrols continue constantly throughout the rest of the duty officer's shift. To ensure security at all times, our officers are on hand to patrol the grounds when there is no member of your own staff on the premises. Contact Savat Security Services to discuss our effective static patrols, providing security for your property in Arbroath, Angus.